With much regret, PianoDisc & Mason & Hamlin reports the passing of company founder and president, Gary Burgett. Mr. Burgett passed away at his home in Sacramento, CA of natural causes; he was 65. A high-profile figure in the piano industry, Mr. Burgett was known for his affable style, strong work ethic, enthusiasm and his sincere respect for all industry partners that he worked with and was well-loved by the staff of PianoDisc & Mason & Hamlin. He will be greatly missed and his memory and legacy lives on in those of us who had the privilege of knowing and working with him. Cecil I'm so sorry to hear this. whenever we visited the factory or NAMM. A real gentleman. I am glad I had the privilege of meeting him, but very sad to hear of his passing. Our condolences to his family, friends, and coworkers. My heartfelt condolences to the Burkett and Pianodisc/Mason Hamlin family. Gary was a true gentleman, and I will miss his smile and graceful demeanor. So sorry to hear this terrible news. A couple of weeks ago Mr. Gary accepted me as his facebook friend, and I could tell him how happy I am to own one of his M&H pianos, which I imported from USA to Brazil. And invited him to bring his family to a visit to our country. He answered saying he would love to. All my sincere condolences to Burgett family's members. I am so sorry to hear this. My condolences to everyone fortunate enough to have been close to him. Although I did not know him well, I could tell that he was a truly splendid person, and an enormous asset to the world of pianos as well. He will be sorely missed by many. I met Gary a few times during NAMM show and will always remember him outstanding as a person as well as what he did and had accomplished. May his legacy live forever. I am very saddened by this news. My deepest condoloences to the Burgett and Mason & Hamlin family. I first worked for Gary and Kirk in 1990. From then to know I never saw Gary treat another person with anything less then warmth and caring. I will miss seeing him at NAMM every year and reminicing about old times. God bless you Gary, I was proud to have known you. Last edited by Alex Hernandez; 05/13/15 03:14 AM. So very sad to get this news. I never knew Gary, but I have enormous respect for his successful reviving the Mason & Hamlin line I do hope the good work can continue with the other principals and staff. So sad to hear of the passing of Gary Burgett. Without his vision of bringing back the reputation of the fine MH pianos, I would not have my great instrument. I met him several times at the factory and he was always warm and encouraging. A man with a vision. In the morning, when I am fresh, I shall get up early and play in his honor. Rest in peace Gary, knowing that you brought happiness to so many pianists. My respect to the late Mr. Burnett, and my condolences to his loved ones and the extended Mason & Hamlin and PianoDisc families. 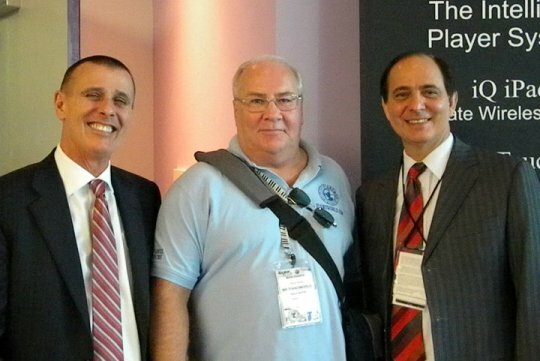 Gary was an industry colleague, a true gentleman, and my friend. From every perspective, he was a wonderful ambassador for our business and the products we represent. It was a blessing to have known him; I will miss him. With much regret, PianoDisc and Mason & Hamlin reports the passing of company co-founder and President, Gary Burgett. Mr. Burgett passed away at his home in Sacramento, CA of natural causes; he was 65. 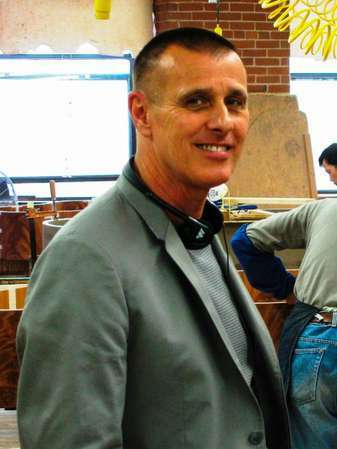 A high-profile figure in the piano industry, Mr. Burgett was known for his affable style, strong work ethic, enthusiasm and his sincere respect for all industry partners that he worked with and was well-loved by the staff of PianoDisc and Mason & Hamlin. He will be greatly missed and his memory and legacy lives on in those of us who had the privilege of knowing and working with him. Gary's brother Kirk Burgett, co-owner and President of both PianoDisc and Mason & Hamlin will continue to oversee executive management and daily operations of both companies with no other changes in management structure. The viewing and visitation for Mr. Gary Burgett will be Tuesday, May 19, 2015 from 4:00 p.m. to 8:00 p.m. The funeral service for Mr. Gary Burgett will be Wednesday, May 20, 2015 at 10:00 a.m.
Last edited by Piano World; 05/13/15 08:36 PM. Gary was a true gentleman and a friend. He sent me a hand written note just a few weeks ago to say Hello. Thank you for joining us here. I see you so infrequently, but this is a great reason to post and what a great link to provide. Gary was not just excited about pianos, but he was excited about life! Oh, so sad. I never met him, but I will remain eternally grateful to him for rescuing the Mason & Hamlin piano brand and building the masterpiece that gives me more joy in life than just about anything besides my loved ones. Too young and so sad to hear this. A pioneer and a gentleman in the Piano business. He has a lot of friends in the piano business. Below is a picture of Gary on my left, with his brother Kirk on my right. 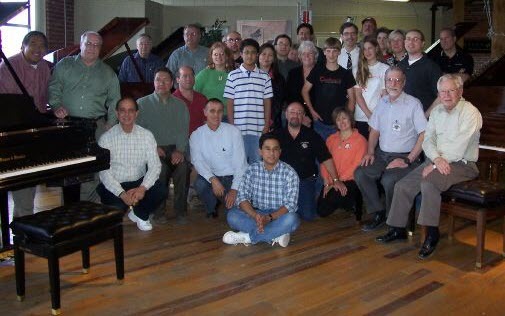 This picture is from one of our piano world piano forums tours of the Mason & Hamlin factory (2011). Which includes Cecil Ramirez, myself, Kirk and Gary, Bruce Clarke and a lot of long time piano forums members. I'm very sorry to hear this sad news. I will always be grateful to him for the revival of the Mason & Hamlin line. The BB model I purchased new a few years back was made possible by his vision. My condolences to all who were close to him. My heartfelt condolences to the Burgett family - and my sincere appreciation to Kirk and Gary for reviving the M&H line and making it possible for me to own the beautiful BB that has been gracing my home for the past nine years. Rest in peace, Gary - and thank you !!!!!! Gary Burgett was one of the good guys. A soft spoken empathetic gentleman who always had a smile on his face and a twinkle in his eye. I heard the news last week while in GZ China visiting Pear River, had poor internet and could not comment until now. I was proud to call Gary a friend since 1994. I remember scouting locations for stores with him in the 90's. Being together as the first Americans to visit an early Music China show in Shanghai in 2001. We walked around from booth to booth taking in the whole wild west aspect of it all and laughing at names like S.Steinway. He has been a true friend and never took our business relationship for granted always taking every opportunity to thank us for our business. My mom and Gary always had a special relationship. When mom passed 5 years ago Gary was the first industry person to call me. He was choked up and could hardly speak. I like many others feel a deep sadness about Gary's passing. May he rest in peace and may god bless his soul. I wish his family, brother Kirk and the the extended Mason & Hamlin /PD family my condolences.